— a watch that combines the best of analogue and smart. 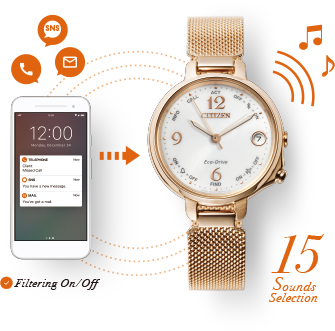 Install the official app "CITIZEN Bluetooth Watch" to enjoy smartphone-based functions such as call and message notification, in addition to other functions that will enable you to get more out of your watch in a simple, intuitive way. What can you do with the official app? 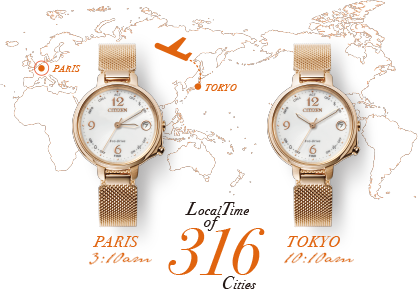 Get the time in any city in the world. Set your alarm from your smartphone. The watch emits a sound, vibrates or rotates the hands to let you know when a new e-mail or Social Networking Service　(SNS) notification has arrived. Select the apps from which you wish to receive notifications. Now you’re never out of touch. ※You can check which SNS apps are compatible from inside the official CITIZEN Bluetooth Watch app. Find out when you get a call. 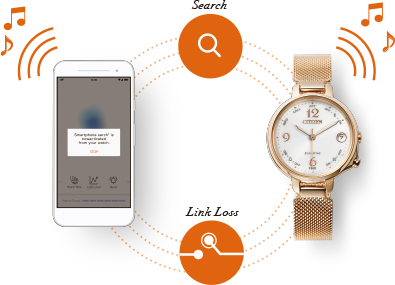 When you’re about to forget your smartphone somewhere (in a café, for instance), the watch will warn you by emitting a sound, vibrating or rotating the hands to let you know when the link between your watch and the smartphone is broken. 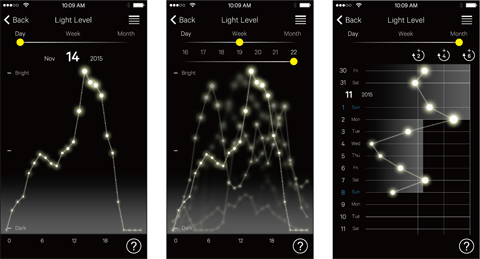 See how much light—and power—your dial is getting. No cable-based charging. No replacing batteries. 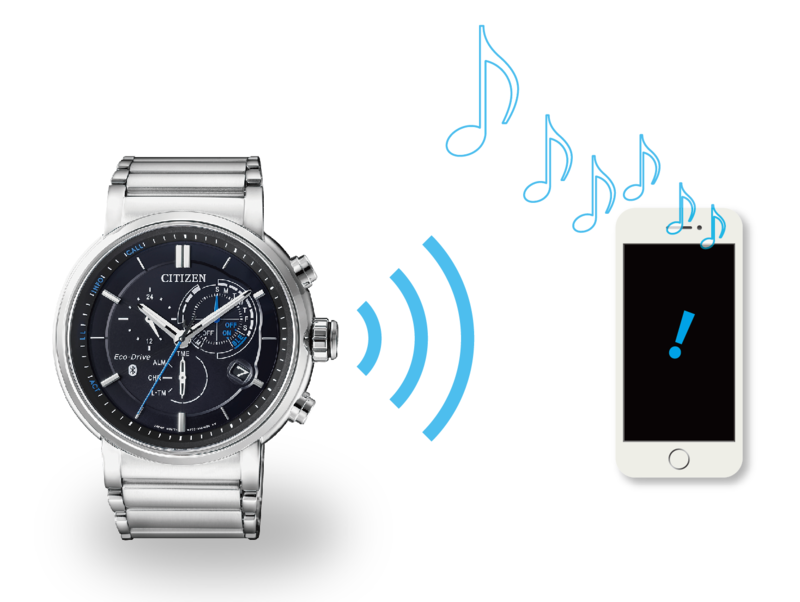 CITIZEN Bluetooth Watch charges from any kind of light. That means no need for replacing batteries or for cable-based recharging. 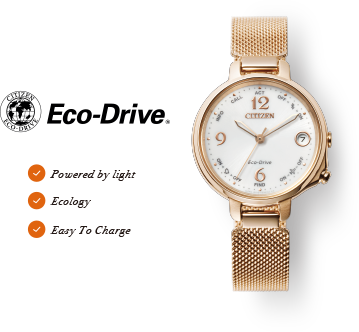 CITIZEN’s proprietary light-powered technology, Eco-Drive generates power from any kind of light—from sunlight to dim light—to drive the watch, storing the surplus in a rechargeable cell. On a single full charge it can run for up to six months in total darkness. 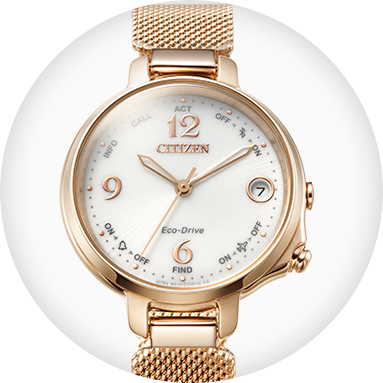 In contrast with its modern retro styling, Eco-Drive Bluetooth Ladies links seamlessly with your phone to enable you to live the life you want. 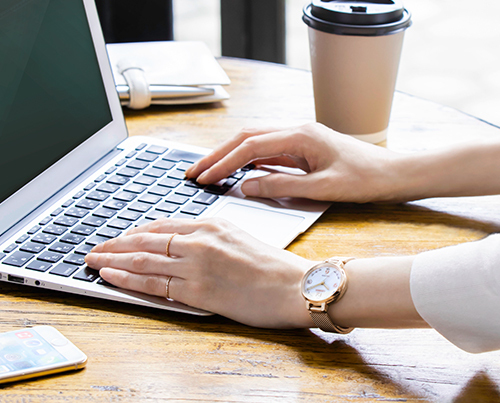 It has precisely the functions that busy working women need, with no extra clutter. 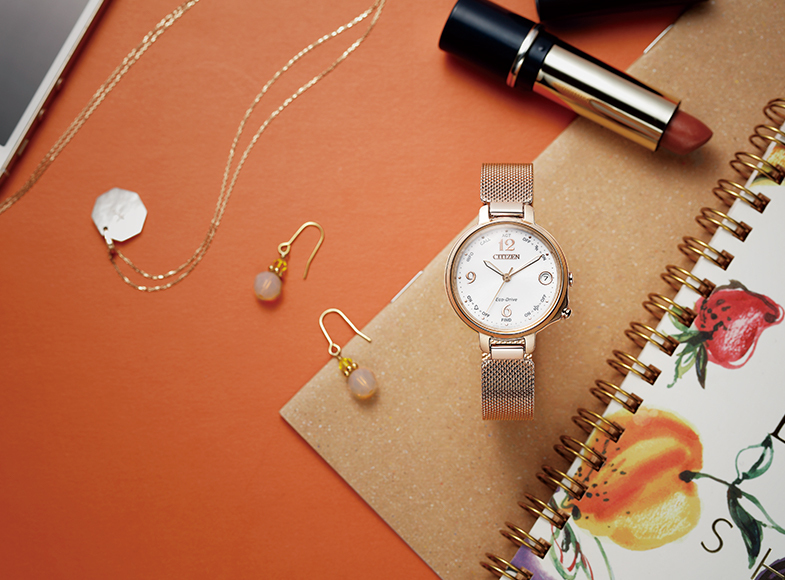 Whether at work or play, Eco-Drive Bluetooth Ladies will quickly become central to your lifestyle, giving every day added zest and sparkle. 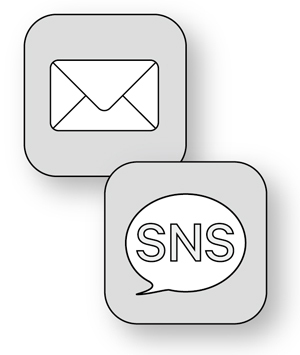 It discreetly notifies you when the people you care about are getting in touch. It reminds you of appointments. It helps locate your phone when you mislay it. Meanwhile light-powered Eco-Drive technology will spare you all the hassle of charging and regular battery replacement. It’s your time. Spend it how you want. 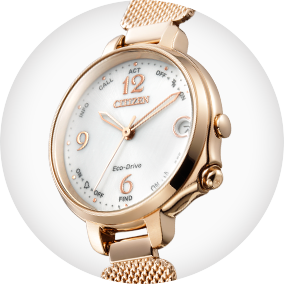 Eco-Drive Bluetooth Ladies brings a note of charm to your wrist. It’s styled specifically for women. making a pleasure of the simple act of checking the time. it’s still small enough not to snag the sleeve of your blouse. Eco-Drive Bluetooth Ladies incorporates Eco-Drive, CITIZEN’s unique light-powered technology. 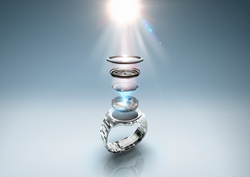 That means your watch charges itself from sunlight and artificial light as you go about your normal day. You can even check how much power your watch is generating at a glance. Say goodbye to the tiresome rituals of daily cable charging and regular battery replacement. Welcome to effortless, worry-free living. Goodbye to cable charging and battery replacement. Go to the home screen of the app and select “Notification.” Switch “Notify” to “On” for the mail and SNS apps whose notifications you want to push to your watch. Use the filtering function to select the people whose calls, texts mail you want alerts for. Go into the official app to check for compatible SNS apps. never lose touch with the people who matter. Pull the crown out two stops and the second hand will point to FIND. Your watch is now tracking down your phone. Your phone will emit a sound to tell you where it is. When your phone and your watch get more than a certain distance apart, the connection between them is lost—meaning an increased risk of you losing your phone. 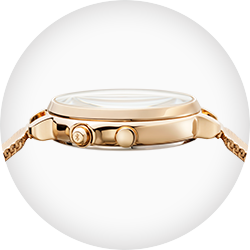 Your watch will alert you by moving the second hand and emitting a sound. It’s easy to relink the two devices: just push the button at 4 o’clock on your watch for 2 seconds. Got a bad habit of losing your phone? Find it easily, and get disconnection alerts too. From the home screen of the app, select “Alarm” and set the desired time. You can set a maximum of 3 alarms. Go to the “Sound” menu to choose from up to 15 types of sounds. to wake you and remind you of appointments. 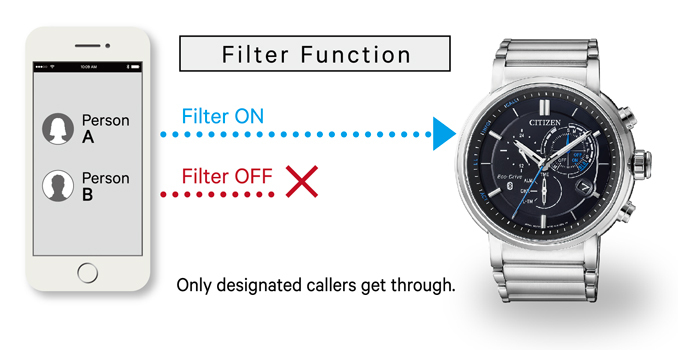 Connect your watch to your phone to reset the time on your watch to the local time as displayed on your phone. 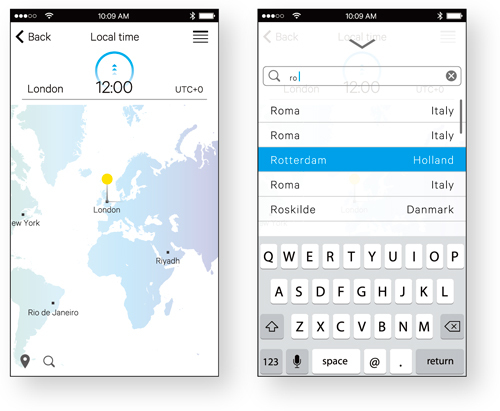 Select “World Time” from the home screen of the app and find the time by searching 316 cities worldwide. Change the time on your watch from there. Resetting the time when you’re abroad is easy. 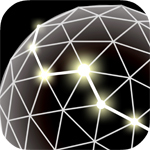 Smart syncing for cities worldwide. Just install the app to get started. Your new connected life is ready to go. 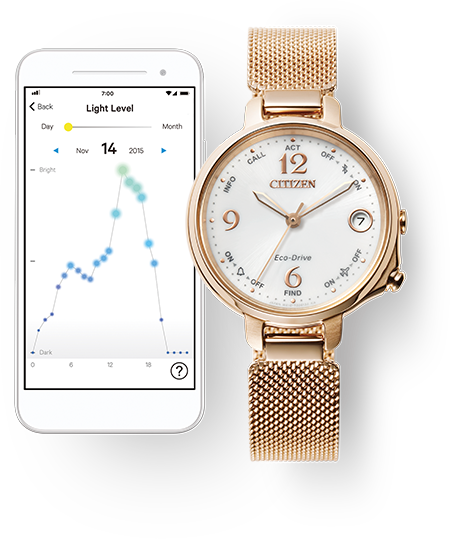 Just install the official CITIZEN Eco-Drive Bluetooth S app to connect your watch to your phone. 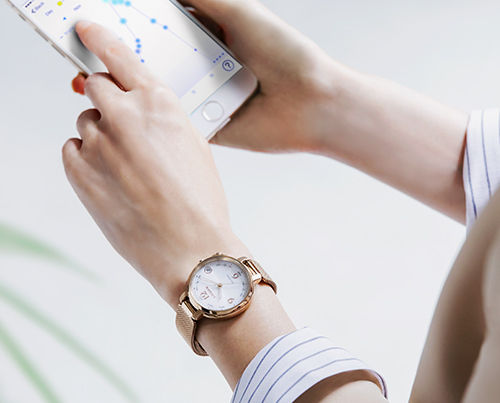 your watch has never been this convenient. 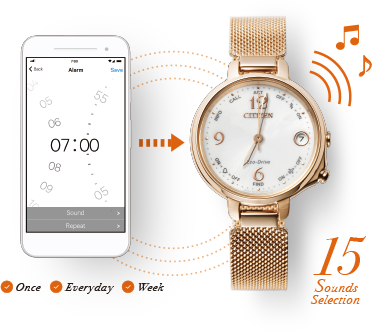 The Cal.W770 app “Eco-Drive Bluetooth” does NOT work with this model. iOS users should download the official app from the App Store. Android users should download the official app from Google Play. 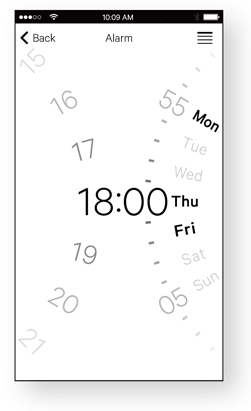 Press the “Setting” icon in the app then sync the time on the watch to the time on your smartphone. If you encounter any issues, go to the support page. * The Bluetooth® word mark and logos are registered trademarks owned by Bluetooth SIG, Inc.